I have had this site on my list of places to visit for a few years. 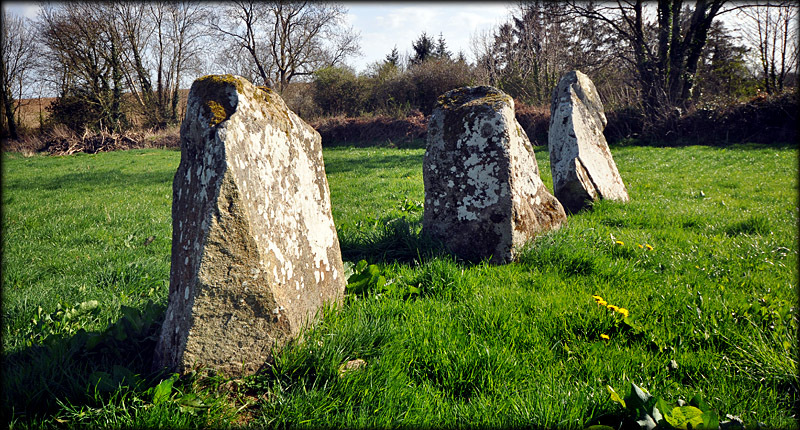 I was thrilled to finally see a glimpse of the stones through the hedgerow as I drove by looking for an entrance to the field. The gate into the field is about 80 metres north of the row, near the large house at the top of the field. The row is aligned NE-SW with Slieve Coiltia Hill. 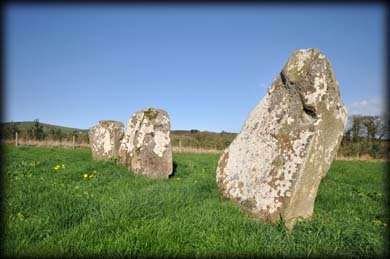 The SW stone is 1.8 metres in height, the middle one 1.4m and the NE stone 1.2 metres. 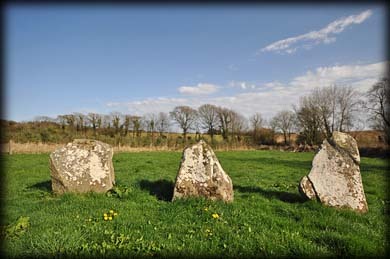 From the Northeast the stones are all diamond shaped. 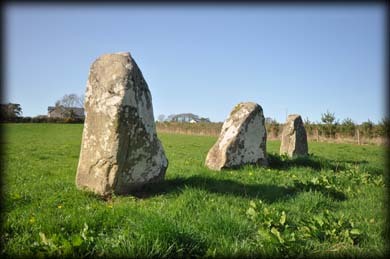 This is the only stone row in County Wexford. 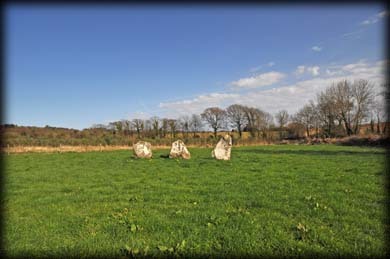 To the north of here is Whitechurch standing stone. Situated: From New Ross head south on the R733 for 10 kilometres. Take a right turn for Whitechurch. After about 700 metres turn left. The row is approx 500 metres down here, in the field on your left. Discovery Map 76: S 7110 1892. Last Visited April 2015.